Hello and welcome to the second installment of Home Decor Wednesdays! 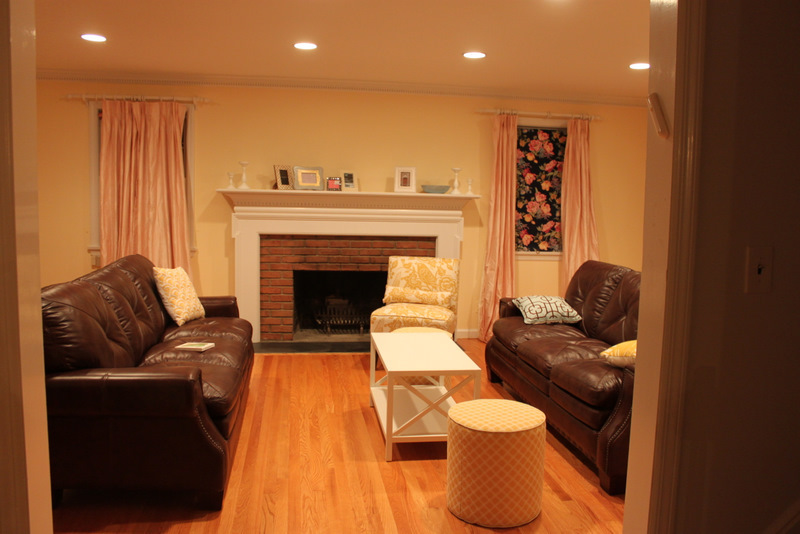 If you're new here, a brief introduction: my hubby and I just bought a 1950s in-need-of-some-updating home in NJ, and thoughts of decorating fill my days! Since my wallet isn't nearly as accommodating as my Pinterest board, I have fun (and some frustration) trying to choose the right things and create a beautiful, happy space on a budget. 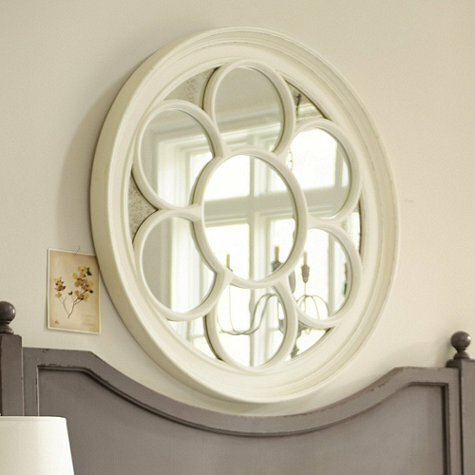 Today I want to talk about my new obsession: mirrors. Not just any mirror, mind you. 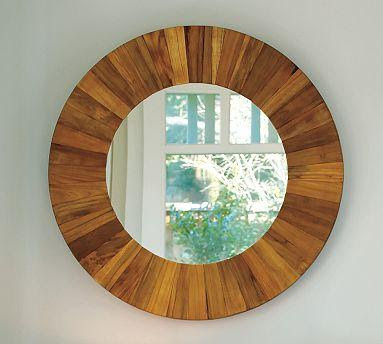 Huge, beautiful round mirrors. The kind that generally cost hundreds of dollars, but may just be worth it because they can really make a room. 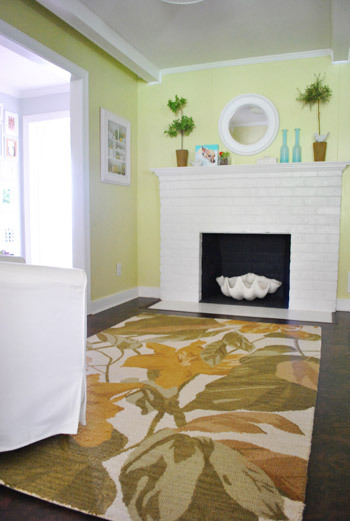 For the past few months, I've been on the hunt for a mirror to put above the mantle of my fireplace in the living room. 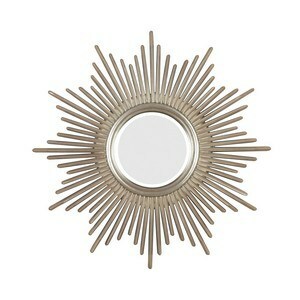 And although I'm very tempted by this lovely, I think it may be too busy for the space. Thoughts? What items are YOU obsessed with right now? P.S. If you'd like to participate in Home Decor Wednesdays, link up below! Wow, so many awesome mirrors! Hope you find the perfect one and can't wait to see it in your space! Good luck on your mirror hunt. I am loving that beveled one. I bet it reflects light really cool through out the space. I'm on the hunt for the perfect paint color or wallpaper for the wall my bed sits up against. I love mirrors as well...hope you find your perfect one soon! I'm so not good at home decorating but I really want to be:) I can't wait to see what you decide to place above the mantle. I am really drawn to the first mirror, Keshet, but they're all lovely! I'm a huge fan of sofa tables, sooooo, do you have room to pull the couches in a bit and put a sofa table behind each one with lamps behind them? Enough light to read, but not too bright to leave on for a cozy feel. Have fun decorating! Of course I am going to mention Goodwill. I got a wooden framed mirror for $5 which I spray painted silver and it turned out great. There were also some great tutorials on how to make paper roses or even simple leaves and gluing them on your cheap mirror frame to make a great showstopper. With all your scrapbooking skills you could probably do this easily. We are building a bathroom from scratch so my obsession right now is an old dresser with a mirror I can turn into a vanity. 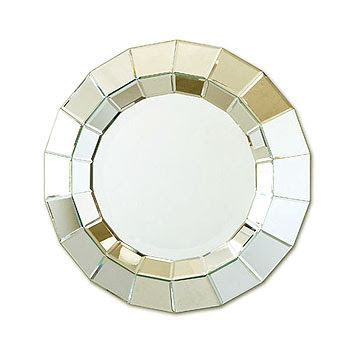 I'm on the hunt for a mirror for our house now too! We didn't bring ours and now I really wish we had, but it's my secret excuse to buy one here!